Staff member Cassie Gunter was named "Woman of the Year" candidate by the Leukemia & Lymphoma Society. Twelve years ago, Cassie Gunter was fighting for her life. Now she wants to give back to the group that helped her survive. At age 22, she went to the emergency room with what she thought was bronchitis. She was diagnosed with acute lymphoblastic leukemia (ALL) — an uncommon blood cancer for her age — and rushed to Stanford Hospital. 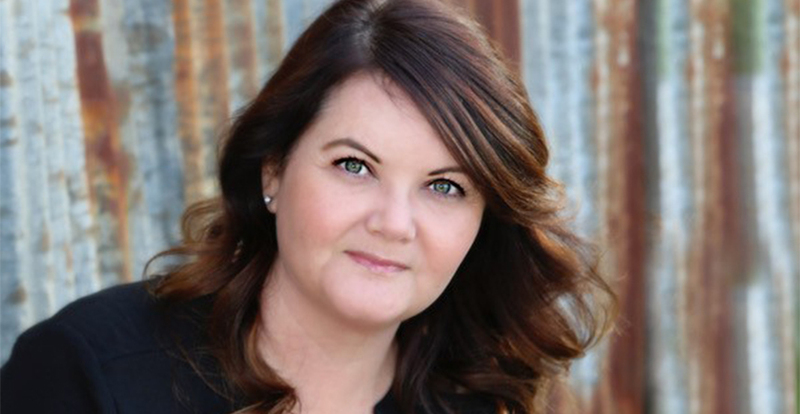 Now, the Graduate Division’s graduate resource coordinator is committed to raising money and awareness on behalf of the Leukemia & Lymphoma Society’s (LLS) Central California chapter as an All-Star nominee for its “Man & Woman of the Year 2019” national campaign. LLS was an incredible resource for Gunter after her diagnosis and she is humbled to represent the region during the 10-week fundraising competition that runs through April 26. Gunter's sister Telisa (right) was her bone marrow donor. During treatment, Gunter was referred to a bone marrow transplant specialist to investigate options. Her only sibling, her sister Telisa, was tested as a potential donor and she was a perfect match. This news opened the door for Gunter to choose whether to continue with conventional chemotherapy and radiation for the next few years or undergo a bone marrow transplant. “It was one of the hardest decisions I have ever made. There wasn’t information about survival and cure rates available in favor of one or the other,” she said. “The day I had to make a choice, a doctor presented me with the abstract of a research study indicating that there is a 25 percent increase in the probability of long-term remission after a bone marrow transplant compared to chemo and radiation,” she said. Gunter had the bone marrow transplant in January 2007. In May, she returned home but couldn’t work or continue school at California State University, Stanislaus, where she was a year shy of graduating, because of a weakened immune system. 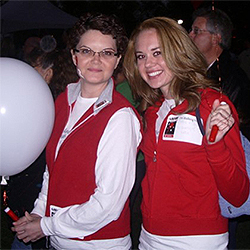 To keep her mind occupied, she volunteered with LLS as a first-connection volunteer supporting newly diagnosed ALL patients. Even though now she is in remission, Gunter continues to help by sharing her story at events, including Light the Night and Relay for Life, to build awareness of blood cancers. I attribute my healthy, normal life today to the advances in cancer research that continue to happen each and every day. In 2016, Gunter was nominated by the LLS Central California chapter to run for the Man-Woman of the Year campaign. With the support of her friends and family, she raised nearly $20,000 and was the runner-up. This year, LLS of Central California nominated her to represent the chapter as an All-Star alumni candidate, and she’s competing against 56-chapter representatives across the country. She is the first woman to be nominated by the Central California LLS chapter. Gunter is motivated to raise $50,000 for LLS to help fund blood cancer research. She started with a letter writing campaign to friends and family members and will hold several small fundraising events along the way. When she surpasses her goal, LLS will name a research grant in honor of her dear friend Gerlinde Olvera, who led the bone marrow transplant support group she attended in Fresno. The Atwater native has witnessed UC Merced’s growth first-hand. She has benefited from several new medical advances during her cancer journey and has felt a strong connection to the research taking place on campus even before she joined in 2014. Gunter also credits LLS’ support of cancer research — the organization funded 34 of 39 blood cancer therapies that were approved by the Federal Drug Administration in 2018 — for her eagerness to champion the cause.